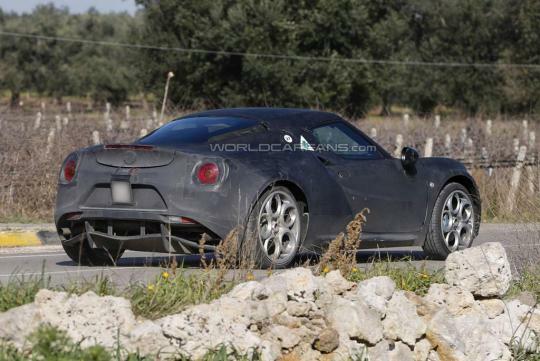 The upcoming Alfa Romeo 4C has been captured when undergoing testing in Italy. 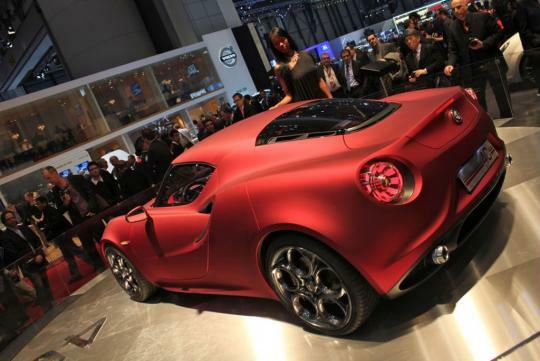 Lightly camouflaged, the production 4C remains true to the lines of the stunning concept that stole the show at the 2011 Geneva Motor Show. Compared to the concept, the road-going version has a re-designed hood, bigger mirrors and restyled headlights. 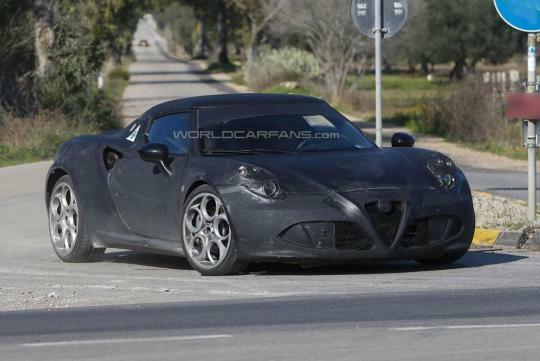 It also appears to have wider front and rear windscreens which should improve visibility. The coupe is observed to be sitting very close to the ground. 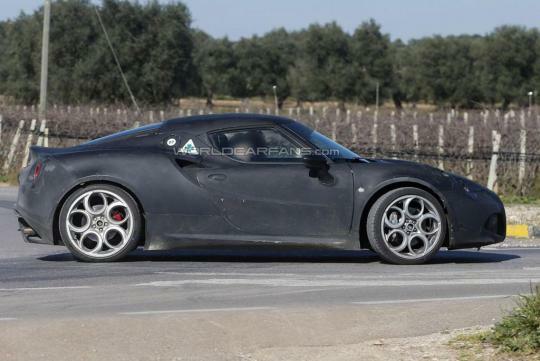 The Alfa Romeo 4C is expected to be powered by the 1750 TBI engine that develops over 200 bhp. Paired to a dual-clutch transmission, the lightweight coupe could go from 0 to 100km/h in less than 5 seconds before achieving a top speed of approximately 250km/h. 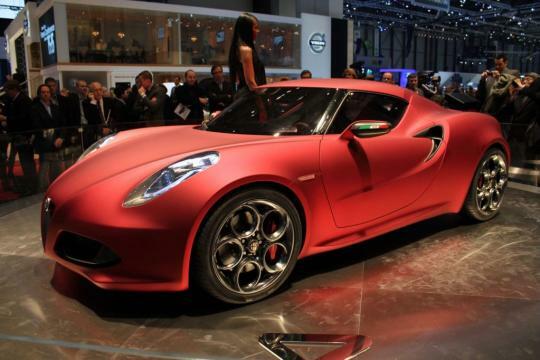 The 4C is expected to debut at either the 2013 Geneva Motor Show in March or the Pebble Beach Concours d�Elegance in August. 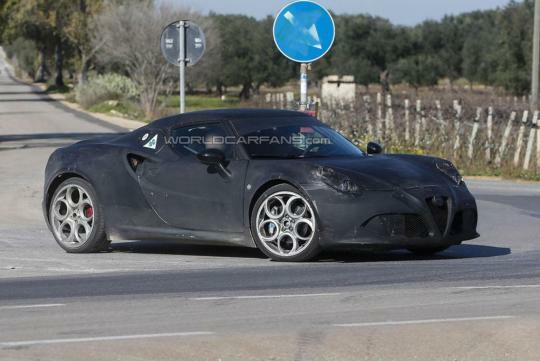 For those who love Italian fanfare but could not cough out enough for a Ferrari, the Alfa Romeo 4C could be a good alternative.